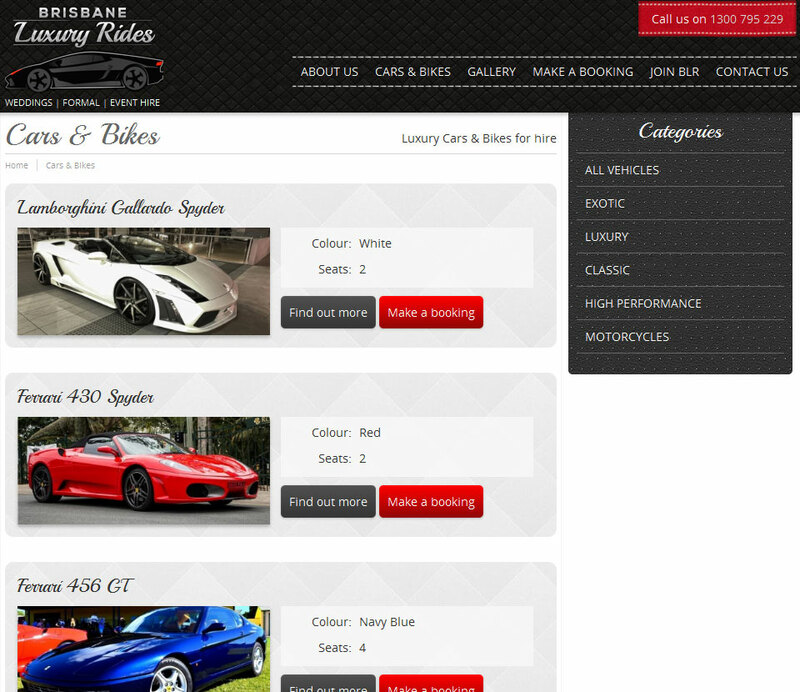 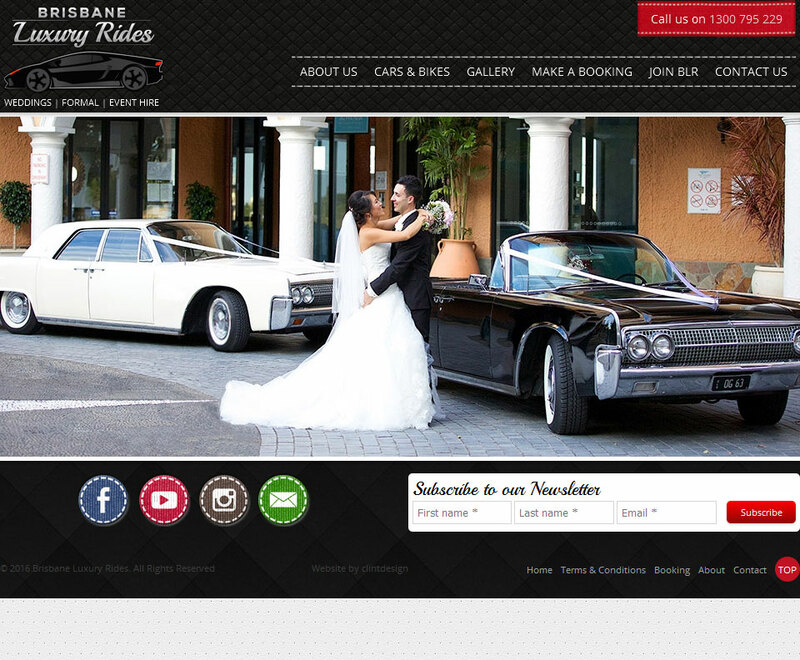 Brisbane Luxury Rides provide a vehicle hire service. 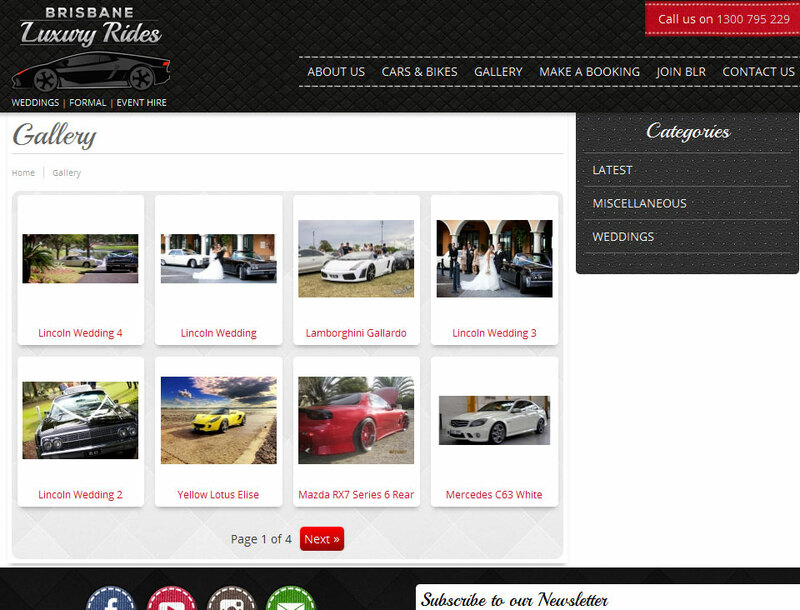 The client required a website that would allow customers to view the currently available fleet and make booking enquires. 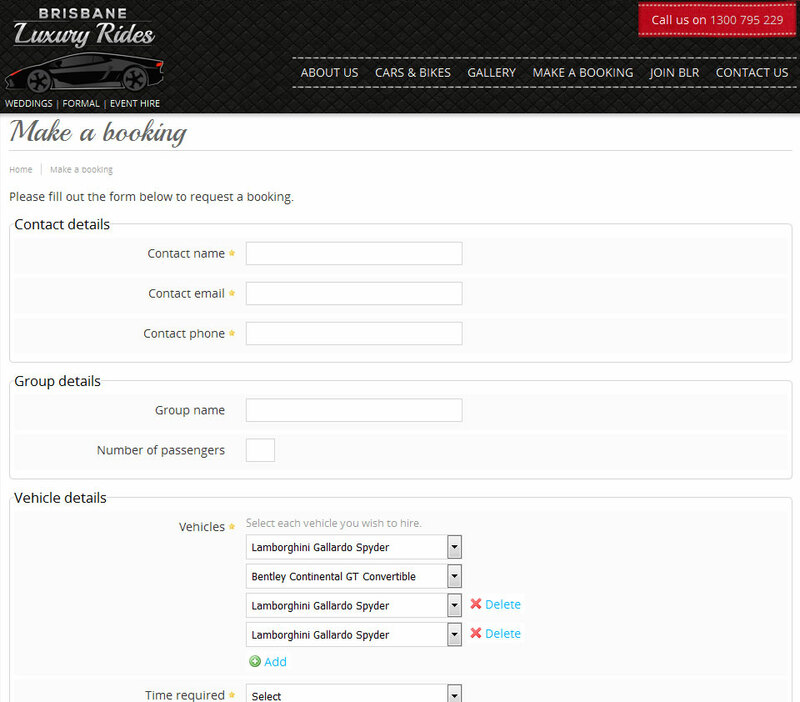 The design includes subtle textural details that emulate the interior finishes of the luxury cars on offer.